Neil: You did, really, campaign and wanted to see this Lutfur Rahman winning, and he wasn’t the Labour candidate, didn’t you? Ken: He’d been selected by local people, I think the NEC was wrong to remove him. It’s had real shades of me ten years ago. Neil: But he loved it. He said, I’m grateful to him for coming here to support justice, I’m very happy to have his support. Neil: Against the Labour candidate! Ken: I would have been quite happy to go down with the local Labour candidate, but he didn’t want me around, because he’s been one of my opponents for a long time. Helal Abbas, one of Ken’s opponents for a long time? Really? 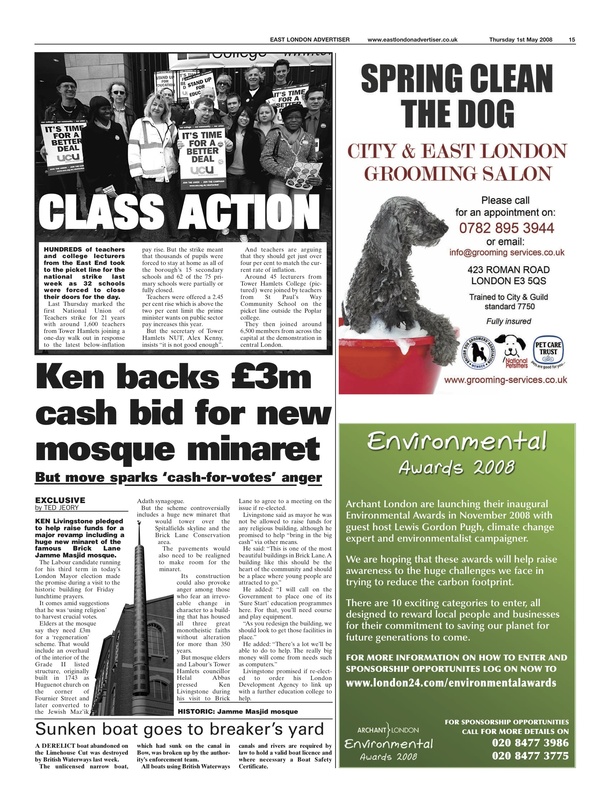 When Ken was fighting for re-election as London mayor in 2008, they didn’t look like enemies. In fact, in the last week of his campaign when Ken begged for votes at the Brick Lane mosque, where Abbas was an influential figure, I watched him warmly wrap his arms around his “enemy”. They even marched down Brick Lane together, smiles aplenty. Ken seems to make a habit of doing that doesn’t he?